The outstanding performances in Anne of Green Gables cast of characters. Anne Shirley with her famous straw hat is the daughter of Walter and Bertha Shirley. She endured a troubled childhood, bouncing from orphanage to orphanage and from one harsh family to another, aided only by her vast imagination and fiery spirit. She was finally adopted by Mathew and Marilla Cuthbert when she was mistakenly left at the Avonlea train station on Prince Edward Island. Anne grows and matures, becoming a teacher and finally realizing her dream of becoming a writer. Eventually she finds love with her best friend Gilbert Blythe. Megan Follows, was 16 years old when she was chosen to play Anne, a role that earned her a 1986 and a 1988 Gemini Award for Best Performance by a Lead Actress. She went on to star in Sullivan Entertainment’s Under the Piano, in which she played an autistic woman who is musically talented but relies heavily upon the protection of her sister, played by Amanda Plummer. Megan has had a prolific career, appearing in 94 films and shows including the hit series Reign. Some of her credits include: ER, Heartland, Murdoch Mysteries, The miniseries World Without End, and the films Breakfast with Scot and The Nutcracker Prince. Gilbert Blythe enters the world of Green Gables in the iconic scene where he teases Anne with the nickname ‘Carrots’, which causes her to break a slate over his head. Throughout their stormy school years, Anne and Gilbert have a tense relationship but eventually they become friends and confidantes. As their story continues, they fall in love and get married. 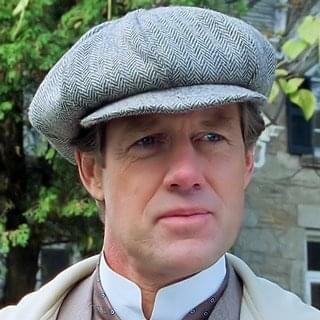 Gilbert is a committed surgeon who leaves Avonlea to help on the battlefields of France during the first Great War. 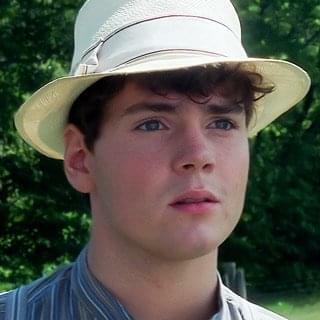 Jonathan Crombie was offered the role of Gilbert Blythe after a casting agent saw him in a high-school play. He reprised the role of Gilbert in two other Anne of Green Gables films, and in an episode of the spin-off series Road to Avonlea. His additional television credits include the television movies The Waiting Game, The Killing Fields, and the series Slings and Arrows. He also voiced the beloved Benjamin Bear in the children’s show The Secret World of Benjamin Bear and its subsequent films. Crombie passed away from an aneurysm at age 48 on April 15, 2015. All pioneers are considered to be afflicted with moonstruck madness. Marilla Cuthbert has a heart of gold, but her somewhat cold demeanor can be off putting. Though initially reluctant to keep Anne, as she and her brother needed a boy to help them with chores on their farm, Marilla grew to care for her adopted daughter Anne and years later after her brothers death, admitted that she considered Anne to be like her own ‘flesh and blood’. Colleen Dewhurst enjoyed a prolific career that ranged from Broadway to motion pictures and television. Dewhurst starred on Broadway in All the Way Home, The Queen and the Rebels, An Almost Perfect Person and A Moon for the Misbegotten, earning several Tony Awards. Dewhurst’s film credits include Dead Zone,Tribute,Annie Hall and McQ. 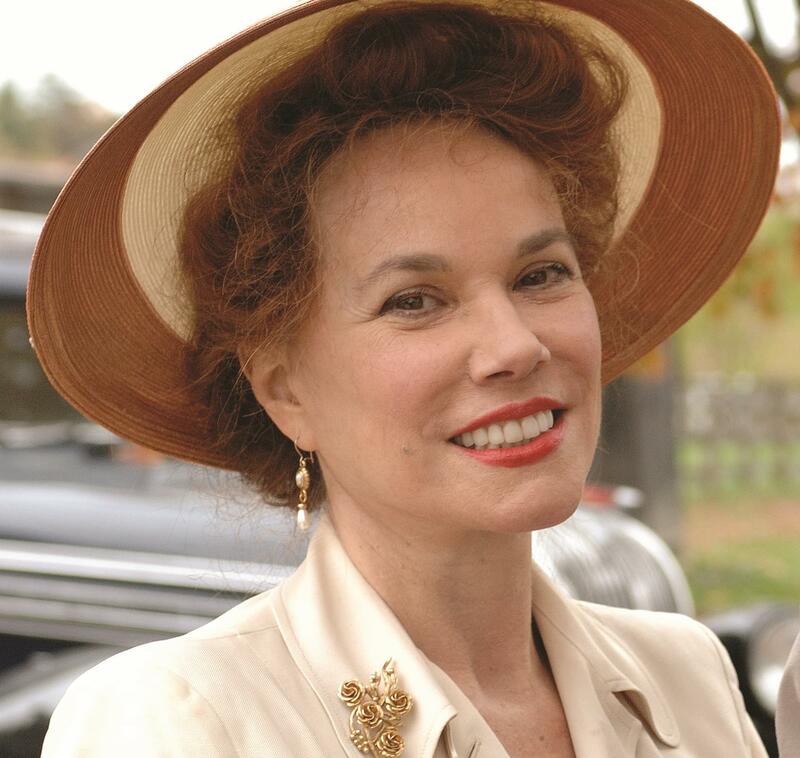 Dewhurst won three Emmy Awards and received two Emmy nominations for her reprisal of the role of Marilla Cuthbert in Road to Avonlea. Dewhurst passed away on August 22, 1991; she was 67 years old. It’s the over-opinionated people that end up unhappy and meaner than second skimming. 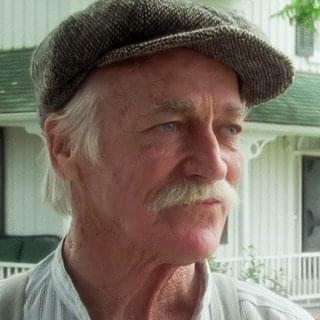 Richard Farnsworth worked for more than 30 years as a stuntman in iconic films like Gone with the Wind, The Ten Commandments and Spartacus before embarking on a career in acting. At the age of 58, he received his first Academy Award nomination for Comes a Horseman. His other film credits include The Grey Fox, The Natural,Misery and The Straight Story for which he garnered his second Academy Award nomination. Farnsworth passed away on October 6, 2000. He was 80 years old. I never wanted a boy. I only wanted you from the first day. Diana is Anne’s bosom friend and true kindred spirit. Diana and Anne attended school together in Avonlea. She later marries school mate Fred Wright and goes on to raise a family with him. 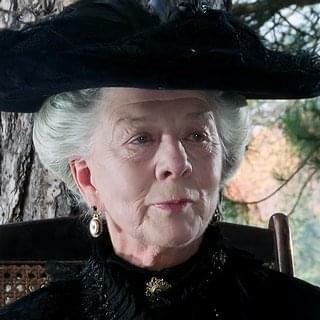 She is Anne’s confidante and loyal supporter through all of their misadventures together. Schuyler Grant is the great-niece of legendary actress Katharine Hepburn. Grant appeared in the television movie Laura Lansing Slept Herewith her famous great-aunt. After Anne of Green Gables, Grant made a guest appearance on Law & Order and was a regular on All My Children. She splits her time between New York and Los Angeles and is the director of the Kula Yoga Project in Brooklyn. Myra Gillis had 37 doilies when she got married, and I’m determined to have AT LEAST as many as she had. 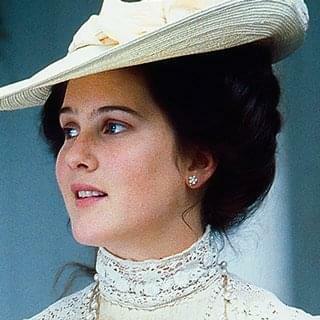 Rachel Lynde is the Avonlea town gossip and best friend of Marilla Cuthbert. She is outspoken, opinionated, long-winded and matter-of-fact. A capable woman she makes it her business to know everything about other people. Anne and Rachel get off on the wrong foot, but they eventually make peace with one another and wind up becoming closer than either of them ever imagined. Patricia Hamilton has played Rachel Lynde in all of all four Anne films and its long-running spin off series Road to Avonlea. 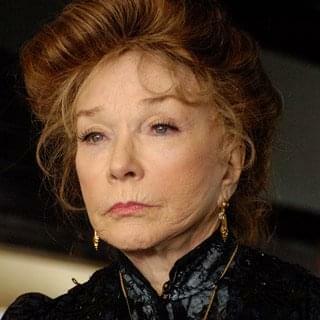 She also provided the voice of the character for PBS animated series Anne of Green Gables. She was nominated for a Gemini Award for Best Performance by an Actress in a Supporting Role in a Dramatic Series three times, winning in 1996. 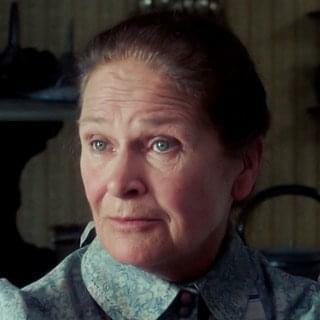 She’s terrible skinny and homely, Marilla. Lawful heart, her hair as red as carrots! Morgan Harris is the widowed father of Anne’s student Emmeline Harris. Morgan takes a shine to Anne and her feisty personality after their many encounters. Anne is swayed by Morgan’s debonair character and the many opportunities a life with him would hold. She ultimately rebuffs his romantic advances and returns to the serenity of Prince Edward Island. After playing the wealthy bachelor who tries unsuccessfully to woo Anne in Anne of Avonlea, Frank Converse went on to perform in a number of television’s most popular dramas, including Murder She Wrote, All My Children, The Practice and Law & Order. He starred alongside Blythe Danner and Bing Crosby in the miniseries Dr. Cook’s Garden and was seen in some of the 70’s biggest hit shows, such as The Mod Squad, The Love Boat, Rhoda and Bionic Woman. Then you really are as insane as all the rumors I've heard about you. 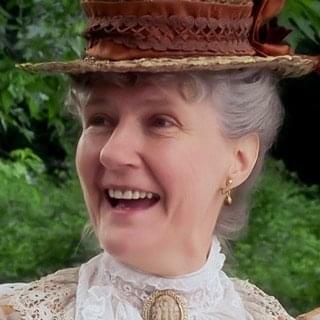 Mrs. Harris is the mother of Morgan Harris and the grandmother of Emmeline in Anne of Avonlea. A cantankerous aristocrat who lives in seclusion and has lost touch with reality, She ultimately melts in the palm of Anne’s hand when she begins to improve many of the difficulties in her family life. Dame Wendy Hiller was primarily a stage actress, appearing only sporadically in films with stage credits that include Twelfth Night, Cradle Song, The First Gentleman, The Heiress and Flowering Cherry. Her film credits began with her portrayal of Eliza Doolittle in the first movie adaptation of Shaw’s Pygmalion and went on to include Major Barbara, The Elephant Man, The Lonely Passion of Judith Hearne and The Coutess Alice. She won an Academy Award for her role in Separate Tables and gave a stirring performance as Alice Moore opposite Paul Scofield in A Man for All Seasons. Hiller passed away on May 14, 2003. She was 90 years old. Innocent as doves, cunning as serpents. After the death of her mother Bertha and abandonment by her father Walter Anne leads a troubled adolescence, bouncing from orphanage to orphanage and from one harsh family to another; until she is taken in by the autocratic Amelia Thomas. She is forced to work in a lumber mill and then later in the Thomas home. After an exhaustive cross Canada talent search, the hunt for a new Anne Shirley in Anne of Green Gables – A New Beginning finally came to an end when 13 year-old Hannah was selected to reprise the role made famous by Megan Follows. Hannah landed her first role at the age of nine in a film for Warner Brothers called Samantha — An American Girl Holiday (2004). There is nothing lovelier than a mother to gather me up. Older Anne’s lack of solid roots and the memory of those troubles early years where she abandoned by her father after the death of her month, affect her even more as an adult than as a child. In Anne of Green Gables – A New Beginning, Anne grapples with a grown-up family, grandchildren, and the fear that her adopted son may have disappeared in the aftermath of the war. Hersheys motion picture career began in 1968 when she starred in, With Six You Get Eggroll. The 1980’s catapulted her to star status when she starred in The Stunt Man (1980), The Right Stuff (1983), The Natural (1984), Hannah and Her Sisters (1986), Tin Men (1987), and Beaches (1988). Hershey is an Emmy and Golden Globe award winner for best actress for A Killing in a Small Town (1990). She most recently starred in Black Swan (2010) and the ABC television series Once Upon A Time. I longed to write once; now I just do it to work everything else out. Amelia Thomas is the strong-minded business woman, matriarch, and sole overseer of the Thomas family industries in Anne of Green Gables – A New Beginning. Amelia is also the mother in law of Louisa Thomas. The Thomas’ are the first family to take Anne in. She appears in the fourth Anne film, Anne of Green Gables: A New Beginning. Shirley MacLaine Beatty made her acting debut in Hitchcock’s The Trouble With Harry (1955), which won her a Golden Globe Award. In 1983, she won her first Oscar for her performance in Terms of Endearment after having previously been nominated five times for numerous other performances. Her long list of achievements includes an Emmy, 7 Golden Globe Awards and 13 nominations (including the 1998 Cecil B. Demille award for Outstanding Contribution to the Entertainment Field). I know tomfoolery when i see it!